Secure integrated I/O functionality, including the serial, USB, or parallel ports, audio, or embedded NIC, so that they cannot be used until they are unsecured.Enable or disable removable media boot ability. Solve system configuration errors detected but not automatically fixed during the Power-On Self- Test (POST). Replicate the system setup by saving system configuration information on a USB device and restoring it on one or more computers. Repeatedly press F10 when the monitor light turns green to access the utility. The end-user can also press Esc to a menu that allows to access different options available at startup, including the Computer Setup utility. If you do not press F10 at the appropriate time, you must restart the computer and again repeatedly press F10 when the monitor light turns green to access the utility. If the end-user have made changes that the end-user does not want applied, select Ignore Changes and Exit. Allows to set system time and date. Allows to update the system ROM with a BIOS image file located on removable media. Saves system configuration to a formatted USB flash media device. Restores system configuration from a USB flash media device. Hard Disk: Size, model, firmware version, serial number, connector color. Translation mode (ATA disks only) Lets the end-users to select the translation mode to be used for the device. This enables the BIOS to access disks partitioned and formatted on other systems and may be necessary for users of older versions of UNIX (e.g., SCO UNIX version 3.2). Options are Automatic, Bit-Shift, LBA Assisted, User, and Off. Available only when the drive translation mode is set to User, allows to specify the parameters (logical cylinders, heads, and sectors per track) used by the BIOS to translate disk I/O requests (from the operating system or an application) into terms the hard drive can accept. Logical cylinders may not exceed 1024. The number of heads may not exceed 256. The number of sectors per track may not exceed 63. CD-ROM: Model, firmware version, serial number, connector color (not included for USB CDROM). Diskette: Model and firmware version. Displays for USB diskette drives. See Translation mode above for details. Allows you to choose how the SATA controller and devices are accessed by the operating system. There are three supported options: IDE, RAID, and AHCI (default). SATA emulation changes may prevent access to existing hard drive data and degrade or corrupt established volumes. IDE - This is the most backwards-compatible setting of the three options. Operating systems usually do not require additional driver support in IDE mode. RAID - Allows DOS and boot access to RAID volumes. Use this mode with the RAID device driver loaded in the operating system to take advantage of RAID features. The RAID/AHCI device driver must be installed prior to attempting to boot from a RAID/ AHCI volume. If you attempt to boot from a RAID/AHCI volume without the required device driver installed, the system will crash (blue screen). RAID volumes may become corrupted if they are booted to after disabling RAID. Enables/disables ability to boot the system from removable media. Default is enabled. Allows to execute self-tests on ATA hard drives capable of performing the Drive Protection System (DPS) self-tests. This selection will only appear when at least one drive capable of performing the DPS selftests is attached to the system. EFI Boot Sources: Specify the order in which EFI boot sources (such as a internal hard drive, USB hard drive, USB optical drive, or internal optical drive) are checked for a bootable operating system image. Each device on the list may be individually excluded from or included for consideration as a bootable operating system source. EFI boot sources always have precedence over legacy boot sources. Legacy Boot Sources: Specify the order in which legacy boot sources (such as a network interface card, internal hard drive, USB optical drive, or internal optical drive) are checked for a bootable operating system image. Each device on the list may be individually excluded from or included for consideration as a bootable operating system source. To drag a device to a preferred place, press Enter. To remove the device from consideration as a bootable device, press F5. F5 can be used to disable individual boot items, as well as disable EFI boot and/or legacy boot. To boot one time from a device other than the default device specified in Boot Order, restart the computer and press Esc (to access the boot menu) and then F9 (Boot Order), or only F9 (skipping the boot menu) when the monitor light turns green. After POST is completed, a list of bootable devices is displayed. Use the arrow keys to select the preferred bootable device and press Enter. The computer then boots from the selected non-default device for this one time. Allows to set and enable a setup (administrator) password. Allows to set and enable a power-on password. The power-on password prompt appears after a power cycle or reboot. If the user does not enter the correct power-on password, the unit will not boot. Lock Legacy Resources (determines whether or not Windows Device Manager is allowed to change resource settings for serial and parallel ports). Stringent security (enabling the stringent password disables the ability to reset the password by moving the jumper on the system board). Default is disabled. If you enable the stringent security feature and you forget the setup password or the power-on password, the computer is inaccessible and can no longer be used. If you lose or forget the password, the system board must be replaced. This scenario is not covered under warranty. To prevent the computer from becoming permanently unusable, record your configured setup password or power-on password in a safe place away from your computer. Without these passwords, the computer cannot be unlocked. Setup Browse Mode (appears if a setup password is set) (allows viewing, but not changing, the F10 Setup Options without entering setup password). Default is enabled. Password prompt on F9 & F12 (requires setup password to use these boot functions). Default is enabled. Network Server Mode. Default is disabled. Set the Cover Removal Sensor to Disable/Notify User/Setup Password. Notify User alerts the user that the sensor has detected that the cover has been removed. Setup Password requires that the setup password be entered to boot the computer if the sensor detects that the cover has been removed..
You must disable AMT before trying to hide the network controller. Allows to disable any PCI or PCI Express slot. Default is enabled. Enables/disables the computer’s ability to boot from an operating system installed on a network server. (Feature available on NIC models only; the network controller must be either a PCI expansion card or embedded on the system board.) Default is enabled. 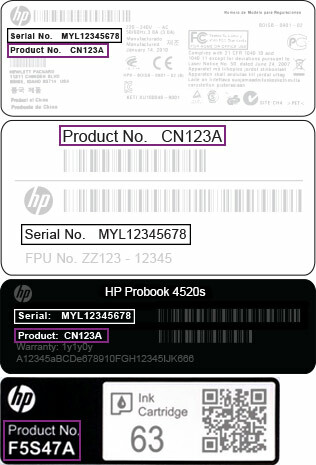 Asset tag (18-byte identifier), a property identification number assigned by the company to the computer. Ownership tag (80-byte identifier) displayed during POST. Keyboard locale setting for System ID entry. Enables/disables Master Boot Record (MBR) security. The MBR contains information needed to successfully boot from a disk and to access the data stored on the disk. Master Boot Record Security may prevent unintentional or malicious changes to the MBR, such as those caused by some viruses or by the incorrect use of certain disk utilities. It also allows you to recover the "last known good" MBR, should changes to the MBR be detected when the system is restarted. When MBR Security is enabled, the BIOS prevents any changes being made to the MBR of the current bootable disk while in MS-DOS or Windows Safe Mode. Most operating systems control access to the MBR of the current bootable disk; the BIOS cannot prevent changes that may occur while the operating system is running. Restores the backup Master Boot Record to the current bootable disk. Default is disabled. Restoring a previously saved MBR after a disk utility or operating system has modified the MBR, may cause the data on the disk to become inaccessible. Only restore a previously saved MBR if you are confident that the current bootable disk's MBR has been corrupted or infected with a virus. Data Execution Prevention (enable/disable) - Helps prevent operating system security breaches. Default is enabled. SVM CPU Virtualization (enable/disable). Controls the virtualization features of the processor. Changing this setting requires turning the computer off and then back on. Default is disabled. Virtualization Technology (VTx) (enable/disable) - Controls the virtualization features of the processor. Changing this setting requires turning the computer off and then back on. Default is disabled. Virtualization Technology Directed I/O (VTd) (enable/disable) - Controls virtualization DMA remapping features of the chipset. Changing this setting requires turning the computer off and then back on. Default is disabled. Embedded Security Device (enable/disable) - Permits activation and deactivation of the Embedded Security Device. Reset to Factory Settings (Do not reset/Reset) - Resetting to factory defaults will erase all security keys and leave the device in a disabled state. Changing this setting requires that you restart the computer. Default is Do not reset. CAUTION: The embedded security device is a critical component of many security schemes. Erasing the security keys will prevent access to data protected by the Embedded Security Device. Choosing Reset to Factory Settings may result in significant data loss. Measure boot variables/devices to PCR1 - Typically, the computer measures the boot path and saves collected metrics to PCR5 (a register in the Embedded Security Device). Bitlocker tracks changes to any of these metrics, and forces the user to re-authenticate if it detects any changes. Enabling this feature lets you set Bitlocker to ignore detected changes to boot path metrics, thereby avoiding re-authentication issues associated with USB keys inserted in a port. Default is enabled. OS management of Embedded Security Device (enable/disable) - This option allows the user to limit OS control of the Embedded Security Device. Default is enabled. This option is automatically disabled if Trusted Execution Technology is enabled. Reset of Embedded Security Device through OS (enable/disable) - This option allows the user to limit the operating system ability to request a Reset to Factory Settings of the Embedded Security Device. Default is disabled. No PPI provisioning (Windows 8 only) - This option lets to set Windows 8 to bypass the PPI (Physical Presence Interface) requirement and directly enable and take ownership of the TPM on first boot. End-user cannot change this setting after TPM is owned/initialized, unless the TPM is reset. Default is disabled for non-Windows 8 systems, and enabled for Windows 8. Allow PPI policy to be changed by OS. Enabling this option allows the operating system to execute TPM operations without Physical Presence Interface. Default is disabled. Allows to assign or modify a master or user password for hard drives. When this feature is enabled, the user is prompted to provide one of the DriveLock passwords during POST. If neither is successfully entered, the hard drive will remain inaccessible until one of the passwords is successfully provided during a subsequent cold-boot sequence. This is a feature of Windows 8. Legacy Support - Enable/Disable. Allows to turn Off all legacy support on the computer, including booting to DOS, running legacy graphics cards, booting to legacy devices, and so on. If set to disable, legacy boot options in Storage > Boot Order are not displayed. Default is enabled. Secure Boot - Enable/Disable. Allows to make sure an operating system is legitimate before booting to it, making Windows resistant to malicious modification from preboot to full OS booting, preventing firmware attacks. UEFI and Windows Secure Boot only allow code signed by pre-approved digital certificates to run during the firmware and OS boot process. Default is disabled, except for Windows 8 systems which have this setting enabled. Secure Boot enabled also sets Legacy Support to disabled. Key Management - This option lets to manage the custom key settings. Clear Secure Boot Keys - Do not Clear/Clear. Allows to delete any previously loaded custom boot keys. Default is Don't Clear. Key Ownership - HP Keys/Custom Keys. Selecting Custom Mode allows to modify the contents of the secure boot signature databases and the platform key (PK) that verifies kernels during system start up, allowing to use alternative operating systems. Selecting HP Keys causes the computer boot using the preloaded HP-specific boot keys. Default is HP Keys. Fast Boot - Enable/Disable. Fast boot disables the ability to interrupt boot, such as pressing f keys to access items before the operating system loads. Default is disabled. If Windows 8 detects a serious error, it will interrupt the boot process automatically and display advanced boot options. From Windows 8, you can press Shift and select Restart to access the screen that lets the user to boot to a device or troubleshoot your computer. Idle Power Savings - Extended/Normal. Allows certain operating systems to decrease the processors power consumption when the processor is idle. Default is extended. Runtime Power Management - Enable/Disable. Allows certain operating systems to reduce processor voltage and frequency when the current software load does not require the full capabilities of the processor. Default is enabled. Unique Sleep State Blink Rates - Enable/Disable. This feature is designed to provide a visual indication of what sleep state the system is in. Each sleep state has a unique blink pattern. Default is disabled. For Windows 8 systems with Fast Boot support, a normal shutdown goes to the S4 state, not the S5 state. S0 (On) = Solid white LED. S3 (Stand By)= 3 blinks at 1 Hz (50% duty cycle) followed by a pause of 2 seconds (white LED) - repeated cycles of 3 blinks and a pause. S4 (Hibernation)= 4 blinks at 1Hz (50% duty cycle) followed by a pause of 2 seconds (white LED) - repeated cycles of 4 blinks and a pause. SATA Power Management - Enables or disables SATA bus and/or device power management. Default is enabled. S5 Maximum Power Savings - Turns Off power to all nonessential hardware when system is off to meet EUP Lot 6 requirement of less than 0.5 Watt power usage. Default is disabled. PCI Express x16 Slot 1 - Sets Active State Power Management (ASPM) of the bus. ASPM lets to set lower power modes that activate when the bus is not being used. Options are Disabled, LOs, L1, LOs and L1. Default is ASPM Disabled. PCI Express x1 Slot 1 - Sets Active State Power Management (ASPM) of the bus. ASPM lets to set lower power modes that activate when the bus is not being used. Options are Disabled, LOs, L1, LOs and L1. Default is ASPM Disabled. Network Controller - Sets ASPM of the bus. ASPM lets to set lower power modes that activate when the bus is not being used. Options are Disabled, LOs, L1, LOs and L1. Default is ASPM Disabled. USB 3.0 Controller - Sets ASPM of the bus. ASPM lets to set lower power modes that activate when the bus is not being used. Options are Disabled, LOs, L1, LOs and L1. Default is ASPM Disabled. Fan idle mode - This bar graph controls the minimum permitted fan speed. This setting only changes the minimum fan speed. The fans are still automatically controlled. POST messages (enable/disable). Enabling this feature will cause the system to display POST error messages, which are error messages displayed on the monitor during the Power On Self Test if the BIOS encounters some kind of problem while starting the PC. A POST error message will only display on screen if the computer is capable of booting this far. If the POST detects an error before this point, a beep code is generated instead. Default is disabled. Press the ESC key for Startup Menu (Enable/Disable). This feature controls the display of the text “Press the ESC key for Startup Menu” during POST. This text does not display on Windows 8 systems with Fast Boot support. Other text also will not display (for example, Ownership Tag). Default is enabled. Option ROM Prompt (enable/disable). Enabling this feature will cause the system to display a message before loading option ROMs. Default is enabled. Power Off - causes the computer to remain powered off when power is restored. Power On - causes the computer to power On automatically as soon as power is restored. Previous state - causes the computer to power On automatically as soon as power is restored, if it was On when power was lost. POST Delay (in seconds). Enabling this feature will add a user-specified delay to the POST process. This delay is sometimes needed for hard disks on some PCI cards that spin up very slowly, so slowly that they are not ready to boot by the time POST is finished. The POST delay also gives you more time to select F10 to enter Computer (F10) Setup. Default is None. Factory Recovery Boot Support (Enable/Disable). Provides the ability for the BIOS to redirect the boot to the recovery partition on the user hard drive, if present. Some versions of the recovery software honor the F11 key press even when this feature is disabled by the BIOS. Default is disabled. Bypass F1 Prompt on Configuration Changes (Enable/Disable). Allows to set the computer not to confirm when changes were made. Default is disabled. Allows to set the computer to turn On automatically at a specified time. Allows to set resources for or disable Legacy devices. Select the Legacy device's IRQ, DMA, and I/O Range. The settings may not take effect for all operating systems. To hide a device from the operating system, see Security > Device Security. Printer mode (Bi-Directional, EPP + ECP, Output Only). ECP = Enhanced Capabilities Port, EPP = Enhanced Parallel Port. Default is EPP+ECP. Num Lock State at Power-On (Off/On). Default is Off. Integrated Video (enable/disable). Use this option to disable the integrated video controller when another video controller is present in the system. Default is enabled. Integrated Graphics (Auto/Disable/Force) Use this option to manage integrated (UMA) graphics memory allocation. The value the end-user chooses is allocated permanently to graphics and is unavailable to the operating system. For example, if the end-user sets this value to 512M on a system with 2GB of RAM, the system always allocates 512MB for graphics and the other 1.5GB for use by the BIOS and operating system. Default is Auto which sets memory allocation to 512 MB. If the end-user selects Force, the UMA Frame Buffer Size option displays, which lets the end-user to set the UMA memory size allocation between 32MB and 1GB. Internal speaker (does not affect external speakers). Default is enabled. NIC PXE Option ROM Download (PXE, iSCSI, disabled). The BIOS contains an embedded NIC option ROM to allow the unit to boot through the network to a PXE server. This is typically used to download a corporate image to a hard drive. The NIC option ROM takes up memory space below 1MB commonly referred to as DOS Compatibility Hole (DCH) space. This space is limited. This F10 option will allow users to disable the downloading of this embedded NIC option ROM thus giving more DCH space for additional PCI cards which may need option ROM space. The default will be to have the NIC option-ROM-enabled. Default is PXE. SATA RAID Option ROM Download (enable/disable). The BIOS contains an embedded SATA RAID option ROM for RAID support. This can be temporarily disabled to save DCH space. Note that with the option ROM disabled, users will be unable to boot to hard drives in the system while running in RAID mode. Default is disabled. Hyper threading (enable/disable). Use this option to disable processor hyper-threading. Turbo Mode (enable/disable). Allows to enable and disable the Intel Turbo Mode feature, which allows one core of the system to run at a higher than standard frequency and power if other cores are idle. Default is enabled. Displayed only if there is an add-in video card in the system. Allows to specify which VGA controller will be the “boot” or primary VGA controller. AMT (enable/disable). Allows to enable or disable functions of the embedded Management Engine (ME) such as Active Management Technology (AMT). If set to disable, the Management Engine is set to a temporarily disabled state and will not provide functions beyond necessary system configuration. Default is enabled. Unconfigure AMT/ME (enable/disable). Allows to unconfigure any provisioned management settings for AMT. The AMT settings are restored to factory defaults. This feature should be used with caution as AMT will not be able to provide any set AMT management functions once unconfigured. Default is disabled. Hide Unconfigure ME Confirmation Prompt (enable/disable). Allows to set the system to not display the confirmation to unconfigure ME. Watchdog Timer (enable/disable). Allows to set amount of time for a operating system and BIOS watchdog alert to be sent if the timers are not deactivated. BIOS watchdog is deactivated by BIOS and would indicate that a halt occurred during execution if the alert is sent to the management console. An operating system alert is deactivated by the operating system image and would indicate that a hang occurred during its initialization. Default is enabled.